ALLEGRA BOVERMAN/Staff photo. Gloucester Daily Times. 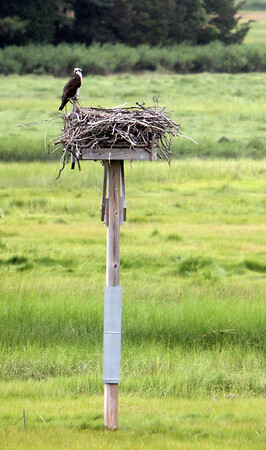 Essex: One of the ospreys who call the Essex County Greenbelt's Cox Reservation and Headquarters in Essex perches on the nest. Another was nearby.